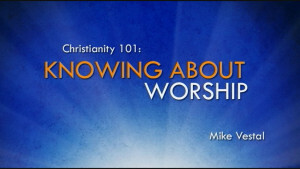 Christianity 101 stresses topics that form the foundation of faith in Christ. 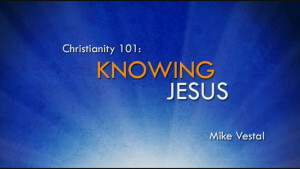 Mike Vestal presents a great Gospel sermon series about a Christian's knowledge of Jesus, the Cross, Worship, Spirituality, the Church, Undenominational Christianity, and Bible study. 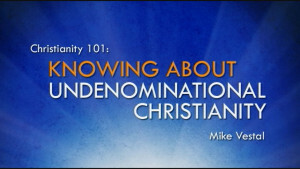 Each lesson in this series is about 30 minutes in length. 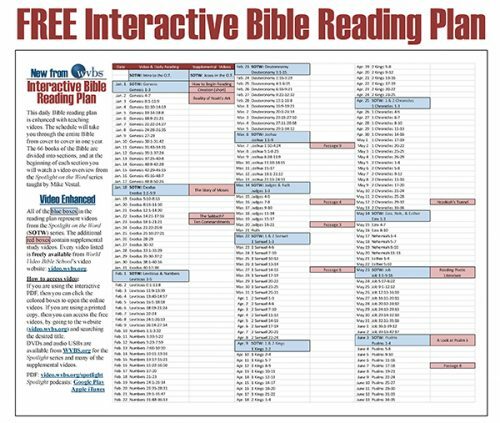 Out of 866 verses that make up the gospel of John in our English translations, 419 verses contain words spoken by Jesus Himself. 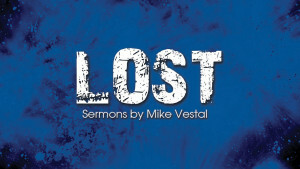 With this in mind, Mike Vestal turns to the book of John to help us better understand the mind of God and Christ. The cross of Jesus changes everything. But why? What was achieved at the cross? 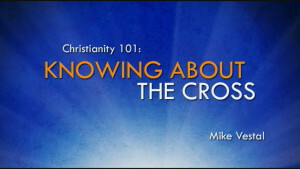 In this lesson, Mike Vestal examines the cross of Christ and three tremendous things that occurred: salvation, revelation, and victory. We need to think often and we need think well the will of God concerning worship. How do we worship in such a way that expresses our love and adoration to God that He has prescribed in His word? 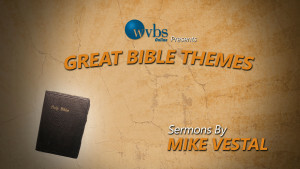 Join Mike Vestal as he examines this important Biblical topic. The Psalmist wrote, “I thought about my ways, and turned my feet to Your testimonies.” Are we people who know and appreciate what it means to be spiritually minded and to be holy? 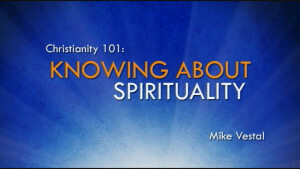 In this lesson, Mike Vestal talks about this important topic and how it affects our relationship with God. The church we read about in the New Testament is not a social club. 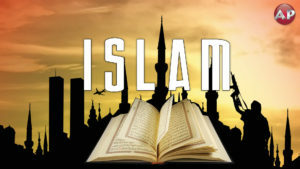 It is made of Christians and was bought with the blood of Christ. 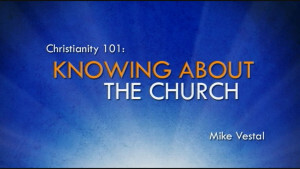 Join Mike Vestal as he goes to the Bible to teach this lesson on the foundation of the church that we read about in the New Testament. God gave a person (Jesus Christ), a proclamation (the gospel of Jesus), and a people (the church of Jesus Christ). To see the relationship between these three necessitates that we see the priority of undenominational. 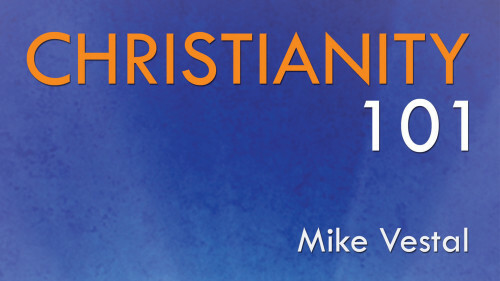 In this lesson, Mike Vestal as he takes an in-depth Biblical look at New Testament Christianity as outlined in the New Testament. It is important that we live our lives by “The Book”...the Word of God. 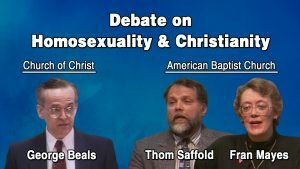 But, we can’t do this unless we live with the Bible and delve into the Bible. 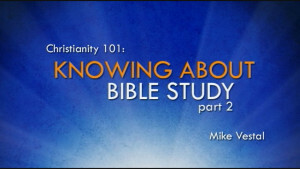 In this lesson, Mike Vestal presents a lesson on the necessity of Bible study and its importance to our Christian walk. We cannot really know God without knowing His Words. Everyday, we deal with problems, difficulties, and pressures. However, if we make it a priority to study God’s Word on a daily basis, we can overcome life’s issues in a spiritual and godly way. 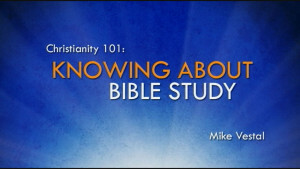 Join Mike Vestal as he presents a lesson on the importance of Bible study and knowing God’s Word.